For those who have difficulty standing from a sitting position and tend to flop down into a seat when sitting, a seat lift chair or a stand assist product will make life much easier. Usually electrically operated, the seat of a seat lift chair rises and tilts forward to make accessing and leaving the chair easier. To sit, a user stands in front of the chair when the seat is in the raised position, leans back against the seat and activates the switch which will lower the user down into an upright sitting position. When the user wishes to stand, they activate the switch and the seat lifts the user to a standing position. Stand assist products by definition also include lift chairs but for the purposes of this web site I've separated them into a separate category. I've classed products that can be used on an existing chair to aid a person in standing to the stand assist category. Some stand assist products are electrically operated while others use a manually activated strut to push the user up off a chair and to lower them into a chair slower and in a more controlled manner. These products are left on the chair, usually in the up position to be available when needed. When the user wants sit down the user sits on the product and it gently lowers them into the seat. The user will remain seated on the product while seated in the chair. Lift chairs, on the other hand, are complete chairs that elevate and tip forward to ease a person to a standing position and will slowly and safely lower them to a seated position when sitting. 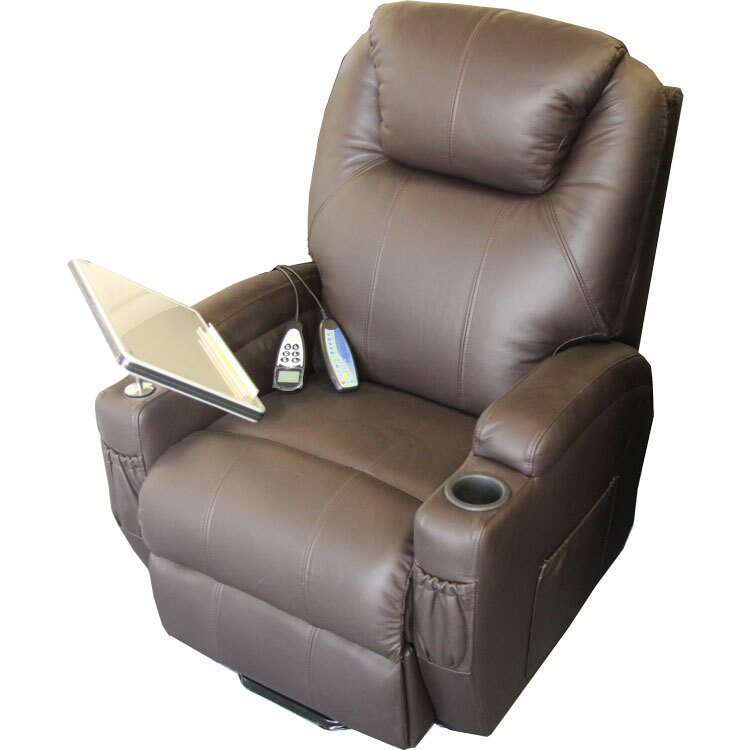 Lift chairs are normally fully padded recliners that in addition to aiding in sitting and standing will also recline a user and elevating their feet. The amount of recline that can be achieved with these chairs will vary between the different models but they will all basically work the same way. Space saver lift chairs are designed to recline without very much space behind the chair to allow them to be positioned closer to the wall. This is an important feature for those who have smaller rooms. Heavy duty lift chairs refer to chairs that are designed to be used by larger people. The heavy duty chairs I have listed on the site have wide seats and will accommodate weights over 500 lbs. Lift chairs are also available in a variety of sizes to better fit the user. Some models are available in small, medium (standard) or large and seat widths, seat heights, seat depths and back heights will vary between models and manufacturers. The links below will take you to products which have been sorted by manufacturer and style.